This mittens are going slowly - i have the first one and lining done minus thumbs. Lots of soccer and other stuff - like this little guy eating my lawn the other night when I was making dinner. and had dinner at Dave Poe's. Oh yeah, watched Night Moves sort stumbled across it. If you like noirs (and I do), it's worth a look. Plus bad 80's hair and 'stash ... Always a bonus. Spouse has had a truly awful flu all weekend (sad) but Easter was nice. Another experiment - lined entrelac. 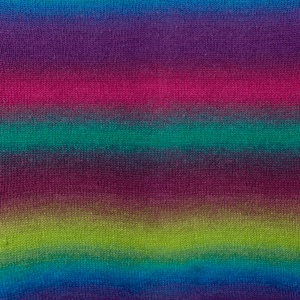 Entrelac is way fun with Chroma. I think next I want to do a lined pair of entrelac mittens. I'll block these tonight. Things have been a little nuts. 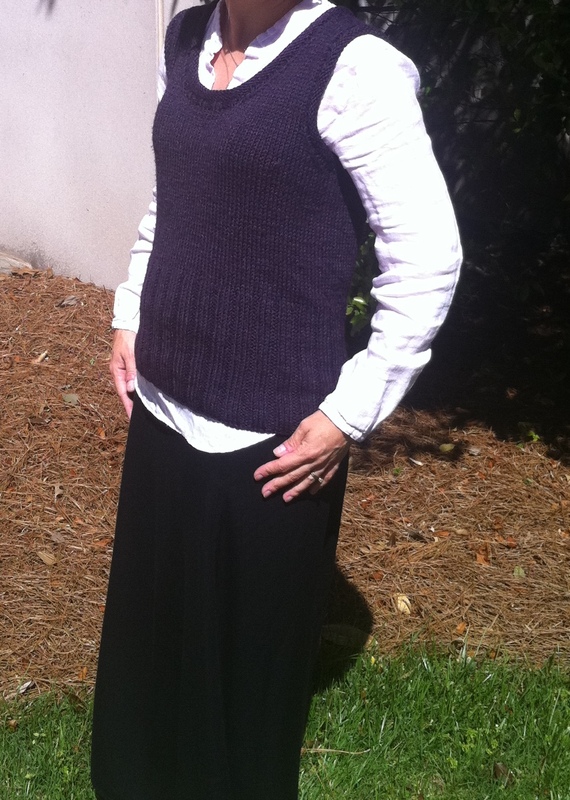 I finished the vest - I like it, my spouse thinks it makes me look like an old lady so he hates it. I'm sure there's any valuation of my design or execution in his statement of his preference :), but it's nice to hear that I can still not look old, if you get what I mean. Let's see, what else? I'm working on some mittens - I'm messing with the Guardian Glove pattern that's available on Ravelry. It's lovely and uses multi-strand fair isle for these amazing looking gloves, but I have opted to take the lazy easy way and use verigated yarn instead of all those color changes. Last weekend we went to an Atlanta Silverbacks game, that was fun. We also spent a lot of time mowing and cleaning up the yard and so the little one got a tick. I didn't notice until we got home from the game and since it was so late and I couldn't get it out right then, and I knew if it was me I'd NEVER get to sleep knowing I had a tick in me, I lied to him and covered it in Neosporin and a band-aid. The next morning I pulled it out. I later apologized for lying but he was nice enough to agree that I had probably done a good thing by lying about that. I've also started on a freeform Cotlin cardigan - brown and dark red in a broken rib pattern. I'm hoping the ribbing will help with fit and drape, but I don't have enough to take picture of right now. And tomorrow my sister and one of her sons is visiting for the weekend - not sure if that will mean more or less knitting time, but should be fun. The little one is very excited.